Busy, bustling and backpackers. This is like Time Square, Asian style. 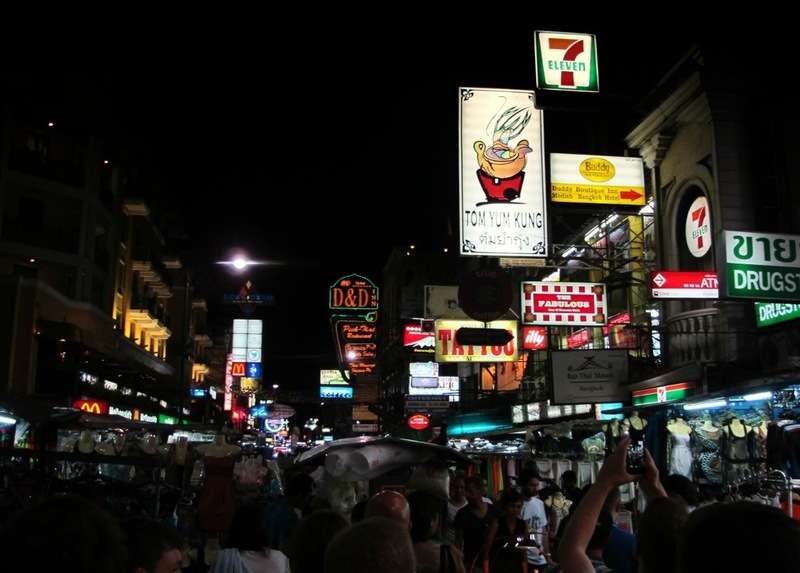 Neon lights, ping pong show offers, beer towers and second hand smoking, there is no chance of anyone staying close by sleeping from the blasting party tunes. But it had to be done.